Some years ago, I was invited by the First Presidency to serve on a committee that was seeking to find out what were some things the Church could do to significantly bless the lives and strengthen the faith of the rising generation. This committee was composed of leaders of the Auxiliaries of the Church as well as members of the Twelve and other general authorities. Many possibilities were considered. However, after months of study, the committee recommended only one thing. That one thing was to lower the age of missionary service to age 18 for young men and age 19 for young women. In response to this study as well as to the revelation to the Lord’s Prophet, President Thomas S. Monson, missionary age was lowered and thousands of young people responded to the call to serve. During the service of the missionaries who were then called and continuing in the service of those who now serve, their testimony of and faith in our Heavenly Father and His Son, Jesus Christ, and in Their true church, The Church of Jesus Christ of Latter-day Saints, was, and continues to be strengthened. Their love toward their fellow man has deepened. Hundreds of thousands of God’s children all over the earth received the restored gospel of Jesus Christ and made their first covenants by receiving baptism and the Gift of the Holy Ghost. The commitment to temple marriage and eternal, sealed families for the missionaries and those they taught was strengthened, and their desire to be temple-worthy and have their own eternal, sealed family was made strong. Such are the blessings of missionary service. “Now, to each member of the Church I say, keep on the covenant path'. The “covenant path” consists of those covenants we make with God that lead us back to Him and His presence as individuals and families. There is nothing in a young person’s life that binds him or her more to this covenant path than the choice to faithfully serve a mission. So it was in my life. The decision to set aside two years and serve a mission for the Lord has had a greater impact for good than any other thing. In fact, every good thing in my life is a result of my decision to serve a mission. It was during my mission that I received a clear and unmistakable witness of the Spirit that the Book of Mormon is true and that Joseph Smith was the Lord’s prophet of the restoration. I realized my biggest desire was to be sealed to my wife and, with her, raise a family in righteousness. I determined to serve God and His children all of my life. I made the covenant with God that I would keep His commandments, repent and continue to call on His name all of my life. I came to know God’s love and trust Him. I knew that He loves His children and that “he doeth not anything save it be for the benefit of the world; even that he layeth down his own life that he may draw all men unto him.”2 I knew that God loves me and other members of the Church, and that “he inviteth . . . all to come unto him and partake of his goodness.”3 All of these deepened my love for God and for His children, wherever I have been blessed to meet them. This is not all. 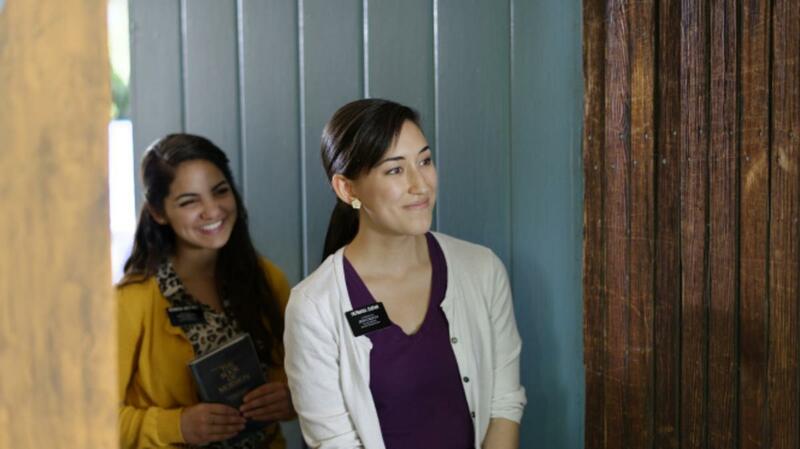 It was during my mission that I knew the joy of sharing the gospel with others. I love the people I taught. One of the great joys of my life is to see their children being raised in the gospel, and their grandchildren being blessed by the gospel of Jesus Christ. Not only did I love these wonderful people, but they have loved and strengthened me and my family over all these years. It is my witness and testimony that the Lord desires for His sons and many of His daughters to serve missions. Come and join with us in missionary service. The blessings of missionary service cannot be overstated. 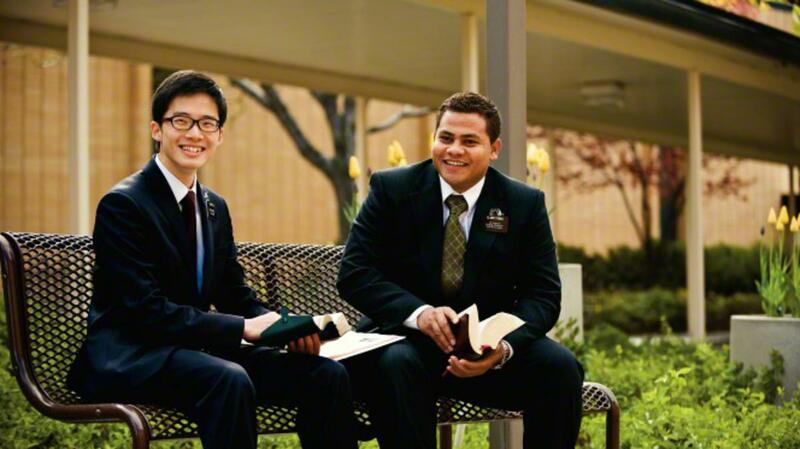 Indeed, as the Lord said to other young people who were considering missionary service, “And now, behold, I say unto you, that the thing which will be of the most worth unto you will be to declare repentance unto this people, that you may bring souls unto me, that you may rest with them in the kingdom of my Father.”4 I bear my witness that choosing to serve a mission is one of the greatest worth to you and to those you will serve. I love the Lord, and I am forever grateful that He allowed me to serve a mission and come to know Him through serving His children.